Rosen is expected to join the Cardinals at OTAs on Monday, Josh Weinfuss of ESPN.com reports. The Cardinals are shopping Rosen, according to Joel Klatt of Fox Sports. "There are three teams that I have heard and I know are very interested in Josh Rosen and that's New England, that's the New York Giants, and that's the L.A. Chargers," Klatt said on Fox Sports 1's "Undisputed" program Wednesday. "One of those have already offered a second-round pick." The Redskins may be interested in acquiring Rosen if the Cardinals make him available for trade, Matthew Paras of The Washington Times reports. New head coach Kliff Kingsbury said Tuesday that Rosen "is our guy," Josh Weinfuss of ESPN.com reports. New head coach Kliff Kingsbury said he won't judge Rosen by his rookie-year film, adding that the young quarterback is "one of the most talented throwers you'll see," ESPN.com's Josh Weinfuss reports. Rosen completed 18 of 34 passes for 149 yards and one touchdown during Sunday's 27-24 loss to Seattle. Rosen completed 12 of 23 passes for 87 yards with no touchdowns or interceptions and rushed four times for 49 yards in the Cardinals' 31-9 loss to the Rams on Sunday. Rosen completed 13 of 22 passes for 132 yards and two interceptions during Sunday's 40-14 loss to Atlanta. 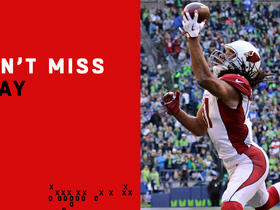 He added eight yards and a lost fumble on two carries. 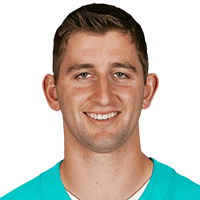 Rosen completed 26 of 41 passes for 240 yards and one interception during Sunday's 17-3 loss to Detroit. Analysis: Rosen has had better days, and no one was more delighted about his struggles than Lions All-Pro corner Darius Slay, who jumped the rookie for a pick-six late in the third quarter to give Detroit a 10-0 lead. This was certainly a disappointing performance at home, especially after pulling off a victory against Aaron Rodgers last week in Green Bay. Rosen is averaging just 167.6 passing yards and one touchdown over his last five starts and is not a recommended fantasy play in any format. Rosen completed 11 of 26 passes for 149 yards without a touchdown or interception and added 32 yards on two rushing attempts in Sunday's 20-17 win over the Packers. Rosen completed 12 of 19 pass attempts for 105 yards, one touchdown and one interception during Sunday's 45-10 loss to the Chargers. Analysis: Rosen got off to a quick start, hitting Larry Fitzgerald for a 25-yard touchdown just minutes into the game. Unfortunately, he struggled to move the ball after that point and finished averaging an underwhelming 5.5 yards per attempt. Rosen also threw an interception which led to a score, pushing his TD:INT to 8:10 over his last six games. The rookie will look to bounce back with a better effort next Sunday against the Packers. Rosen completed nine of 20 attempts, accounting for 136 yards, three touchdowns and two interceptions during Sunday's 23-21 loss to Oakland. Rosen completed 22 of 39 attempts for 208 yards, one touchdown and two interceptions during Sunday's 26-14 loss to Kansas City. Rosen completed 23 of 40 pass attempts for 252 yards, two touchdowns and one interception during Sunday's 18-15 win over the 49ers. Rosen (toe) was a full practice participant Thursday, Darren Urban of the Cardinals' official site reports. Analysis: Rosen has come full circle in one week's time. Since a dreadful five-turnover performance last Thursday against the Broncos in which he suffered a sprained left toe, he has got rid of a walking boot Monday and returned to practice in a limited capacity Wednesday before Thursday's development. In his previous start against Sunday's opponent (the 49ers), Rosen completed 10 of 25 passes for 170 yards and one touchdown Week 5. Rosen (toe) took part in the portion of Wednesday's practice that was open to the media, Kyle Odegard of the Cardinals' official site reports. Rosen (toe) ditched his walking boot Monday, Josh Weinfuss of ESPN.com reports. "He's doing well and he should be ready to go on Wednesday," coach Steve Wilks said. Rosen (toe) isn't participating in the open portion of Monday's practice, Darren Urban of the Cardinals' official site reports. Analysis: The Cardinals are opening the week with an on-field practice after losing to Denver by 35 points Thursday night and then promoting Byron Leftwich to replace Mike McCoy as their offensive coordinator. Rosen suffered a toe sprain during the ugly performance, but coach Steve Wilks expects the rookie quarterback to be ready for Sunday's home game against San Francisco. The Cardinals will release their first injury report of the week Wednesday afternoon. Rosen was diagnosed with a sprained left toe following Thursday's 45-10 loss to the Broncos, Darren Urban of the Cardinals' official site reports. Coach Steve Wilks said he expects Rosen to be OK for the Cardinals' next game Week 8 against the 49ers. Rosen sustained a left toe injury late in Thursday's 45-10 loss to the Broncos, Josh Weinfuss of ESPN.com reports. Rosen completed 21 of 39 passes for 194 yards with a touchdown and three interceptions in the Cardinals' 45-10 loss to the Broncos on Thursday. He also rushed once for 14 yards and fumbled on three occasions, losing two and recovering one. Rosen completed 21 of 31 pass attempts for 240 yards with no touchdowns and one interception during Sunday's 27-17 loss to the Vikings. Rosen completed just 10 of 25 passes for 170 yards and a touchdown in Sunday's 28-18 win at San Francisco. Analysis: Rosen's second career start began with a bang. He tossed a 75-yard touchdown to fellow rookie Christian Kirk on Arizona's first play from scrimmage. Things didn't go well from there, although Rosen was hurt by some bad drops. He's already shown a little more competence moving the offense than veteran Sam Bradford, although that's not really saying much. In Week 6, Rosen will take on a Minnesota pass defense that hasn't been nearly as strong as expected this year. Rosen completed 15 of 27 passes for 180 yards with one touchdown and no interceptions during Sunday's 20-17 loss to the Seahawks. He added 13 rushing yards on two carries. Rosen will be the Cardinals' starting quarterback moving forward, Darren Urban of the team's official site reports. 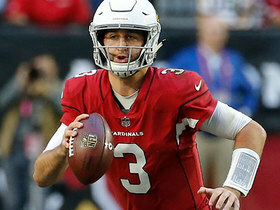 Speaking after Sunday's 16-14 loss to the Bears, coach Steve Wilks declined to commit to either Rosen or Sam Bradford as the starter for Week 4 against Seattle, Josh Weinfuss of ESPN.com reports. Rosen has been told to be prepared to play this week against the Bears if Sam Bradford's struggles continue, Fox's Jay Glazer reports. Analysis: This might not be as earth-shattering news as it seems - all backups are frequently told to be ready for game action, after all. However, Rosen is the last of the first-round quarterbacks to see some form of game action, and it's undeniable that the Cardinals have been in dire straits with Bradford at the helm. The calls for Rosen are only going to get louder. Rosen will remain the Cardinals' backup quarterback for Sunday's game versus the Bears, Kyle Odegard of the team's official site reports. Rosen (thumb) wasn't listed on the Cardinals' Week 1 injury report Wednesday, Darren Urban of the team's official site reports. Analysis: Since hitting a teammate's helmet while throwing on Aug. 20, Rosen has tended to a swollen right thumb that didn't afford him action in Arizona's final two preseason games. With the release of the first injury report of the regular season, Rosen finally has been given a clean bill of health as he prepares to back up Sam Bradford to begin his rookie campaign. Rosen (thumb) won't play in the Cardinals' preseason game Thursday against the Broncos, Steve Wyche of NFL Network reports. Analysis: Although he has been able to throw on two different days after hitting a teammate's helmet with his hand Aug. 20, Rosen will be held out in the Cardinals' exhibition finale, likely as a precaution. No matter, he'll back up Sam Bradford to begin the regular season, so it remains to be seen when the rookie will get his next in-game reps.
Rosen (thumb) made throws during the part of Tuesday's practice open to the media, Kent Somers of The Arizona Republic reports. Analysis: Rosen injured his thumb last Monday, Aug. 20 and subsequently was held out of Sunday's preseason contest in Dallas. The throwing session Tuesday marked his second since picking up the swollen appendage, but there's still the question of whether he'll suit up in the Cardinals' exhibition finale Thursday against the Broncos. If he does, Rosen likely will work in tandem with fellow reserve quarterback Mike Glennon, with Sam Bradford locked into the starting role for the time being. 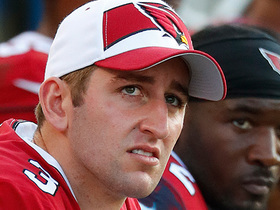 Head coach Steve Wilks indicated that Rosen (thumb) could see playing time during Thursday's preseason finale against the Broncos, Darren Urban of the Cardinals' official site reports. Analysis: Wilks said that he doesn't want Rosen to lose the progress he's made this summer, but the deciding factor in this decision will nonetheless be the status of the rookie's injured thumb. That Rosen even seems to have a decent chance of playing suggests the injury isn't anything long-term, and there's been no indication that Rosen won't be available for Week 1. If Wilks ultimately shuts him down, Mike Glennon would likely be in store for another large workload in Thursday's game. Rosen (thumb) did not play in Sunday's preseason game against the Cowboys. 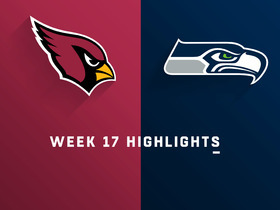 Analysis: According to Darren Urban of the Cardinals' official site, coach Steve Wilks said holding Rosen out was a combination of caution with Rosen's thumb in addition to Wilks wanting to see more of Mike Glennon, who's trying to convince the Cardinals to carry three quarterbacks into the regular season. There hasn't been any word on whether Rosen will see action in Thursday's preseason finale against the Broncos. Coach Steve Wilks said Rosen (thumb) will be a game-day decision for Sunday's exhibition against the Cowboys, Darren Urban of the Cardinals' official site reports. Analysis: After missing practice the previous two days, Rosen wore his helmet and threw some passes during Friday's session. The thumb injury doesn't seem like anything that will threaten his Week 1 availability, but it could impact Arizona's plans for Sunday. With Mike Glennon (forearm) also banged up and Sam Bradford the owner of a notoriously sketchy medical record, Wilks could turn to undrafted rookie Chad Kanoff for a significant portion of the contest. Bradford is expected to get the start. Rosen (right thumb) was spotted throwing during the open portion of Friday's practice, Darren Urban of the Cardinals' official site reports. Analysis: This news bodes well for the QB's chances of being available for Sunday's preseason game against the Cowboys, a contest in which coach Steve Wilks "has been coy about how long" his starting signal-caller, Sam Bradford, might play, per Josh Weinfuss of ESPN.com. Rosen (thumb) was in pads but didn't attempt a pass during warmups for Thursday's practice, Josh Weinfuss of ESPN.com reports. Analysis: Instead, Rosen was contained to handoff drills as he recovers from a swollen right thumb. There's a chance he may make some throws once the cameras are off, which would help his case for taking the field Sunday in Dallas. Fortunately for the rookie, he has another session to prove that he'll be able to play through the pain this weekend. Rosen missed practice Wednesday due to a sore thumb, Darren Urban of the Cardinals' official site reports. Analysis: During Monday's session, Rosen's throwing hand hit a helmet and induced some swelling, which explains why he wasn't in pads Wednesday. He still expects to suit up for Sunday's exhibition at Dallas, but if the issue lingers, his status may come down to a game-time decision. Rosen didn't participate in practice Wednesday, Kent Somers of The Arizona Republic reports. Analysis: Rosen was hanging around the Cardinals' quarterback group during the session without pads, so an injury likely is the reason behind his absence. Head coach Steve Wilks should clarify the situation during media availability later Wednesday. Rosen completed 10 of 16 passes for 107 yards and a touchdown in Friday's preseason win over the Saints. Rosen is expected to work with the first-team offense during Friday's preseason game in New Orleans, Darren Urban of the Cardinals' official site reports. Analysis: Rosen didn't show much in his pro debut Saturday, completing six of 13 passes for 41 yards. Frequently, he was running for his life due to poor blocking, so it'll be interesting to see how he fares with the first-team offensive line and potentially some of the Cardinals' top-line skill-position players. Still, though, Rosen is all but embedded as the clear backup to starter Sam Bradford, who is slated to play more than one series Friday. Rosen was 6-of-13 for 41 yards without a touchdown or interception in Saturday's preseason win over San Diego. Analysis: Rosen had an up-and-down night and he didn't get much help from his offensive line as he was constantly under pressure and he received several bad snaps from his center. He'll likely get plenty of playing time this preseason, but after one game he didn't look set to challenge for the starting job. Rosen will compete with Mike Glennon for the backup quarterback job behind starter Sam Bradford, Darren Urban of the Cardinals' official site reports. 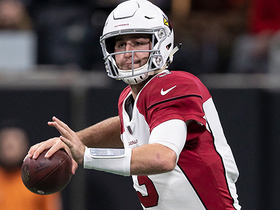 NFL Network Insider Ian Rapoport reports that quarterback Josh Rosen, who has been the subject of trade rumors this offseason, was the first player in the building for the Arizona Cardinals' voluntary team workouts Monday. 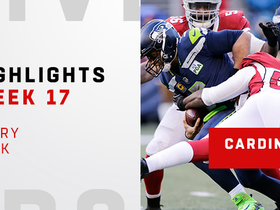 NFL Network's Kurt Warner talks to Arizona Cardinals QBs Sam Bradford and Josh Rosen about how they compete with each other and they are preparing for the upcoming NFL season. NFL Network's Charley Casserly discusses what he'd give up in a trade for Arizona Cardinals quarterback Josh Rosen. 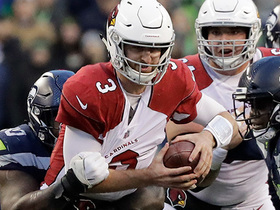 NFL Network's Gregg Rosenthal, Dan Hanzus, Chris Wesseling and Marc Sessler discuss Arizona Cardinals quarterback Josh Rosen's trade value this offseason. 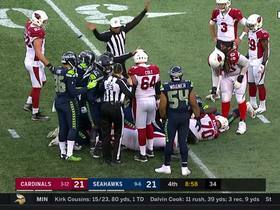 Seattle Seahawks defensive end Frank Clark causes a fumble on Arizona Cardinals quarterback Josh Rosen, and Seahawks' defensive end Quinton Jefferson recovers at the Cardinals 31. 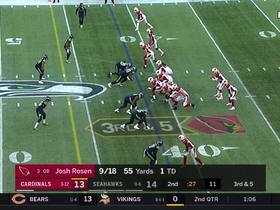 Arizona Cardinals quarterback Josh Rosen delivers another high throw, but tight end John Phillips makes the catch for 24 yards.